Dental implants have become the treatment of choice for missing teeth for most patients. And while these artificial replicas of teeth have revolutionized dentistry, they have also raised a few controversies. Dentists as well as patients are often left in a dilemma about whether to save a tooth with root canal treatment or to extract it and place an implant instead. Now, the debate on this can go on and on. Both the treatment options have their pros and cons and we cannot pick one over the other without completely understanding which one is apt for any particular case. RCT vs. Implants: which is better? Selection of the treatment depends upon several factors, which include the condition of the tooth, patient’s general dental health, medical history, financial considerations, and eventually the patient’s choice. Root canal treatment is usually carried out in cases where the caries has reached the pulp (the soft, innermost part of the tooth), and the tooth is beyond the stage of normal filling with a restorative material. On the other hand, tooth extraction and implants are considered when the natural tooth cannot be saved even with a root canal treatment. RCT and Implant procedure: How are they different? Both of these treatments are aimed at restoring the normal form and function of a decayed, damaged tooth. An RCT involves removal of the inner, sensitive part of the tooth, hollowing it out completely, and then filling it with a restorative material. In this the bond of the tooth with the jaw bone is naturally maintained. 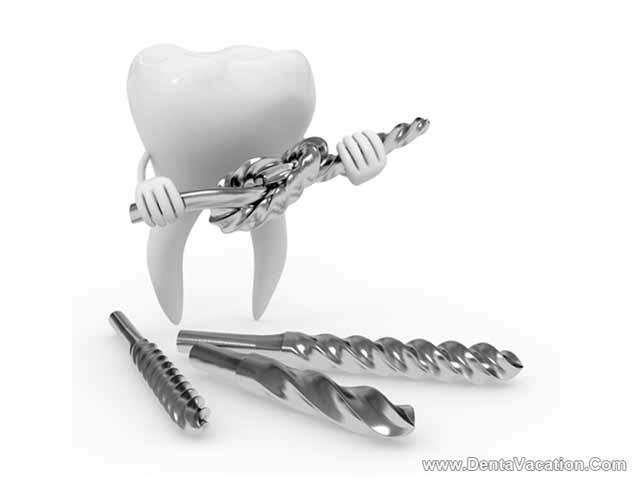 In implant cases, the entire tooth is first removed, and replaced with an artificial metal screw, topped with a tooth shaped crown. For the success of this treatment, it is crucial for the implant to form a strong bond with the bone (osseointegration), failing which, the entire treatment would be useless. Both the treatments may require several visits to the dental office. if it is possible to save the natural tooth with an RCT. However a patient could opt to travel to nations like Mexico, Thailand or India for dental implants as the clinics there serve world class treatments at a cheaper cost. Dental tourism encourages those who cannot afford the treatments in their home town and are searching for a better and a more affordable dental care option. For instance Mexican dental tourism attracts thousands of patients especially from the US and Canada every year, as procedures like dental implants or upper and lower jaw bone grafting in Mexico are pocket friendly and more viable for the average citizens. Root canal treatment has a high success rate, but failures may occur if all of the pulp or infection is not removed. In some cases, it is not possible to conduct a root canal treatment because of the complicated shape of the root canals or excessive infection, or some periodontal problem. Also, fractured or cracked teeth are also not considered for RCTs, as complications may occur. 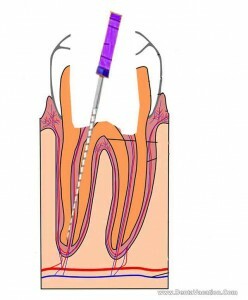 It is clear that selecting either of Implant or root canal treatment is largely dependent upon the condition and requirements of an individual and one cannot be simply labeled better than the other. Patients must openly discuss their case with the dentists and clearly state their expectations, so the dentist can offer you the best treatment for your case.